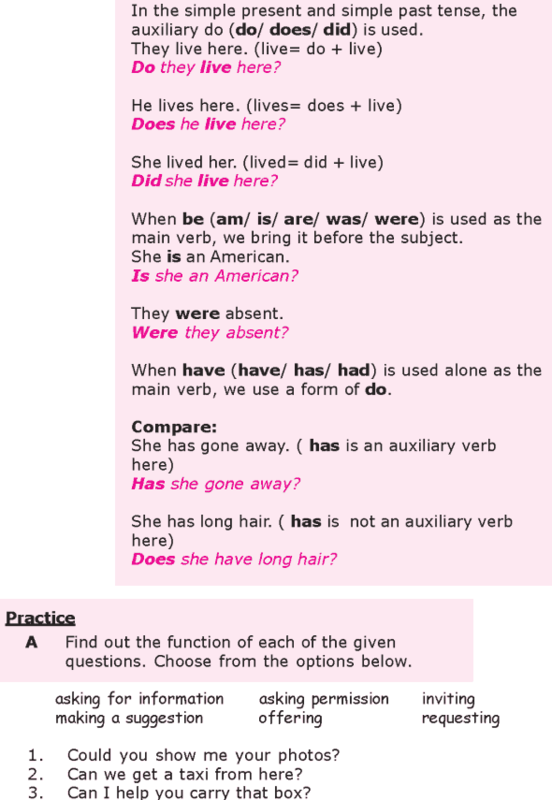 In the simple present and simple past tense, the auxiliary do (do/ does/ did) is used. When be (am/ is/ are/ was/ were) is used as the main verb, we bring it before the subject. When have (have/ has/ had) is used alone as the main verb, we use a form of do.